From WAMU 88.5 at American University in Washington welcome to “The Kojo Nnamdi Show,” connecting your neighborhood with the world… yesterday tragedy came to our town. A former Navy Reservist and current defense contractor opened fire at Washington’s historic Navy Yard on the bank of the Anacostia River turning a routine business-as-usual September Monday into a day full of law enforcement and emergency medical activity and anxiety. And for a dozen families, the ultimate heartache as they learned of lost loved ones. We’ll be talking later with WAMU 88.5 reporter Elliott Francis about a memorial service today. But first responders from an alphabet soup of local and federal agencies responded in full force. Here to explain how agencies coordinate and make split-second decisions when responding to an active shooter emergency is Todd Jasper. He joins us by phone. Todd Jasper is an associate director of the Homeland Security and Emergency Management Vision at MSA, a consulting firm here in Washington. 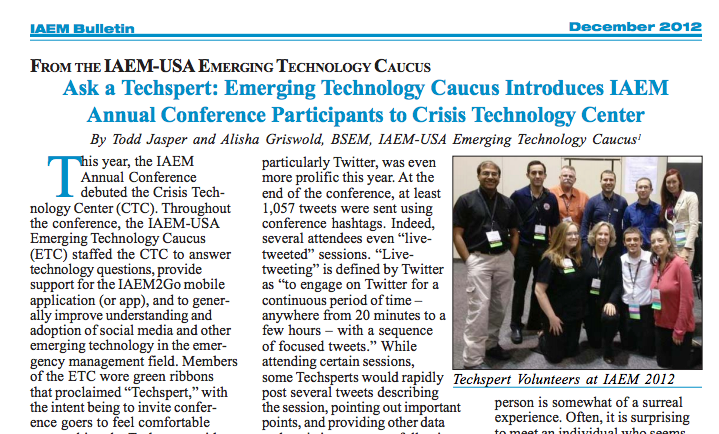 He’s also vice-chair of the Emerging Technology Caucus for the International Association of Emergency Managers and the education director for the Metropolitan Washington Association of Contingency Planners. Todd Jasper, thank you for joining us. Todd, yesterday workers at the Navy Yard and several nearby buildings were told to shelter in place, which may have been counter to some instincts to flee. How was a decision like that, which seemed so crucially important, made in a very short space of time? Great question. You can imagine it’s extraordinarily complex because you have multiple things happening at the same time. 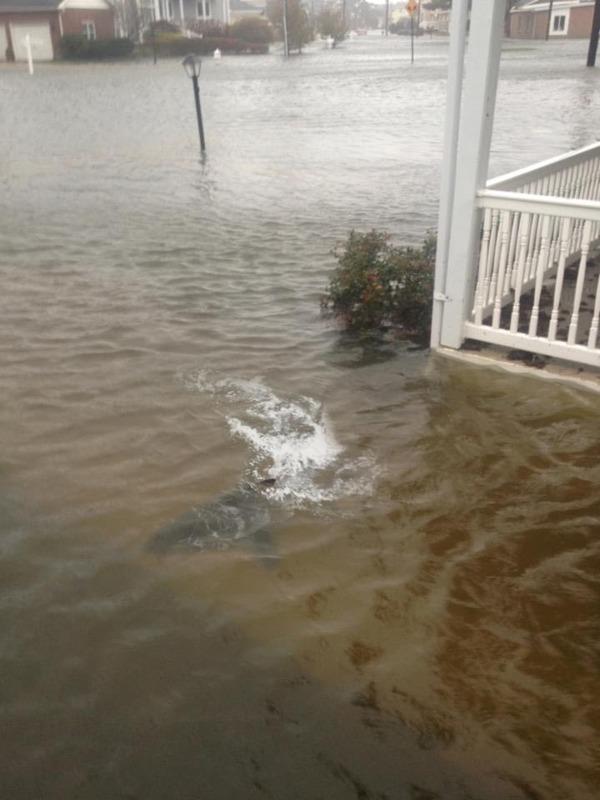 And what I suspect, if I understand correctly, certain folks in certain buildings were instructed to shelter in place. Or sometimes we might be familiar with the term lockdown. And then others were definitely told by law enforcement on bullhorns or as SWAT teams entered the buildings to come out if you can. 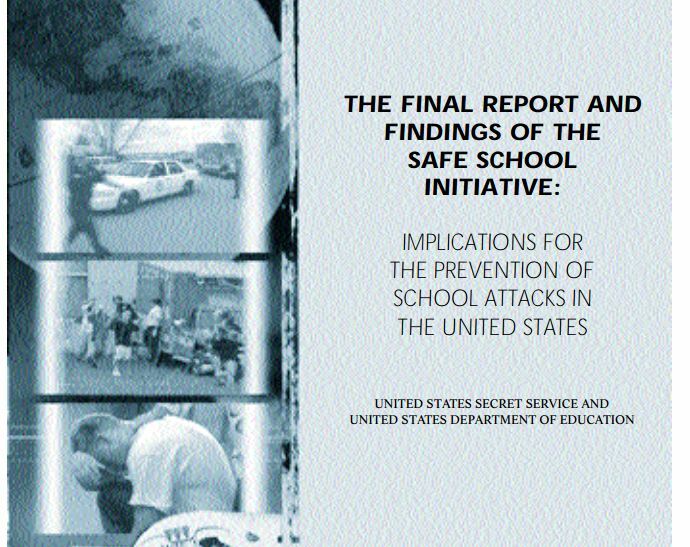 And that actually constitutes a sea change in emergency management in outreach to folks about active shooters since Columbine. So we no longer really — the guidance from DHS, Department of Homeland Security, is if you can get out you ought to immediately if you sense there’s an active shooter in your midst. And I think that’s what people did yesterday. You saw a lot of folks streaming out very quickly. And then other folks who were deemed in kind of a safer area — at a certain point Navy Yard became one of the safest areas to be in D.C. with so many law enforcement there — but so you had other folks being told to stay where they were so that they weren’t in a crossfire or out in the open if they didn’t have to be. Are military installations in some ways uniquely prepared to handle a situation like this? They’re unique in many ways. It’s a great question too. Sure. they have their own police force, as you can imagine. They have strict boundaries where it’s clear, you know, how they’re separated from the rest of the city. They have many checkpoints. They’re very secure in many ways that most private companies or corporations couldn’t mimic without great costs of time and productivity. When we see so many agencies converge on the scene of an event like we did yesterday, Metropolitan Police Department, military police, FBI, NCIS, park service police, how do they coordinate with another? It’s extraordinarily complex and it really gets to — it becomes more than just normal fire calls or normal police calls at that point. It becomes a whole organizational structure. 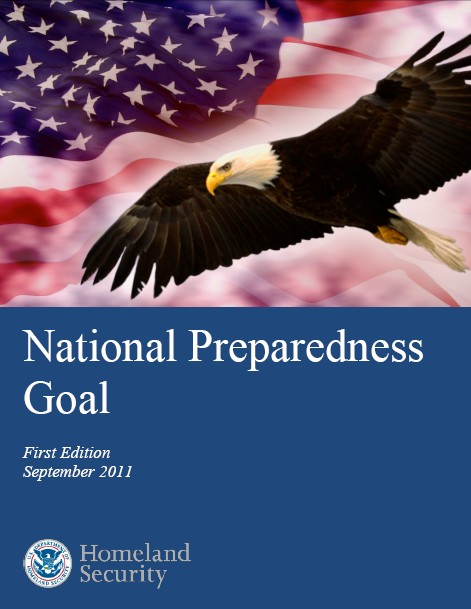 And in the federal government, especially since 9/11, we have what’s called the National Incident Management System or NIMS and Incident Command System or ICS. And agencies across the country, it’s a requirement that they teach their officers and their firefighters and response teams this whole organizational structure so that you can have really complex ad hoc organization under extremely stressful circumstances so that they can come together seamlessly and have terrific results, which I think we saw yesterday. We saw police officers running into the gunfire immediately. I mean, there’s no hesitation and they all worked with one another very, very well. And so it’s absolutely obvious. You know, you saw the officer being airlifted off the roof by the park police. That was also an MPD officer who was injured. And you had FBI SWAT team respond very quickly. So you had a lot of the agencies working together very, very quickly with good results. Well, we remember after 9/11 here in Washington there was a lot of complaint about not enough interagency coordination. That problem seems to have been solved, Todd. It’s a good question. It’s a good point. We’ve worked very hard at it. this whole industry, this whole field has put a lot of resources into it. It’s not perfect as a process. It’s a continuum. We’re always working on trying to get better at it. But there’s a lot of training and exercises the departments go through. D.C. is kind of unique too because we have so many agencies all at once that respond to incidents like this, between secret service, FBI. And then you have local police. I mean, in D.C. even the public library has its own police department and everyone responds together on a routine basis to that’s really important. Todd Jasper is an associate director of the Homeland Security and Emergency Management Vision at MSA, a consulting firm here in Washington. He joins us by phone. Todd, there has been some surprise that a secure base could be the site of such a violent tragedy. Do you think that the security measures in place on the installation will ultimately end up being a boon for investigators? It’s going to be very difficult because unless we’re searching every single person, every single car, every single article that enters any facility — and I don’t want to speculate based on their procedures at Navy Yard. As far as I understand it was very secure. But we always make — it’s a balancing act. And it’s constantly being reviewed. I know that base security — installation security is constantly going through threat assessment and hazard assessment and vulnerability assessment to make sure that all your bases are covered. And I think obviously every time there’s an attack, every time there’s an incident we review those assessments. But it’s very difficult because every time we let our guard down a little bit or we relax some procedures because it takes too long or spends — costs too much money, we have an attack eventually and we have to reevaluate. But I don’t have any information to suggest that Navy Yard wasn’t as secure as it could have been. I have every confidence that it was. It was very secure there. In today’s newspaper we saw SWAT officers on cell phones as they walked up to the Navy Yard. What kind of tech tools are deployed in a situation like the one we saw yesterday? Well, it’s — it goes across the spectrum. I don’t know exactly what — if they had certain apps or if they had maps on their phones that they were able to pull up. Sometimes — you have to understand, police officers, just like you and I, we all have Smartphones now. It’s possible to get messages or pictures or text messages. You can imagine during an incident like this, you have so much radio traffic and so many people calling out orders that a lot of times you can’t get on the radio yourself to ask for a question or give information. You might have to wait quite a bit. But if you could send a text message to a colleague in the command bus, you might have a quicker response. And so all means of communication are being used now in a modern incident. As we continue to learn more about what exactly happened yesterday, Todd, and as investigators try to piece together a motive, what will you be keeping your eyes and ears open for? One of the things I focus on the most is understanding as institutions how we can better prepare our people to respond to an incident of this magnitude or to prepare for an incident of the magnitude. To make sure that we give our folks the absolute best information in the most easily understood way. We want to avoid confusion at all costs because we want to save lives when seconds matter. So that’s — in the emergency management field that’s what we spend a lot of our time doing is going through these after-action reviews is what we call them, and looking at how we could better prepare our own institutions to make sure that they — everyone has the information they need to act accordingly. And thank you for doing it. Todd Jasper, thank you for joining us. Todd Japser’s associate director of the Homeland Security and Emergency Management Vision at MSA, a consulting firm here in Washington. In addition to many questions that remain after the shootings yesterday, there is also much grief. Nationally, many agencies seem to solely use social media to push information to the public rather than utilizing social media to engage and communicate with the community, especially during emergencies. 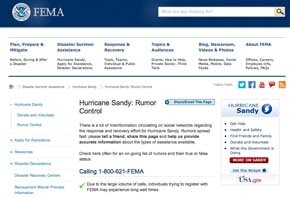 Agencies often warn citizens not use social media to report emergencies. 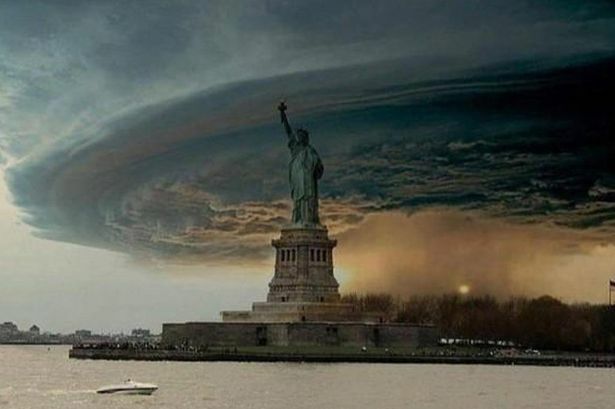 During Sandy, the New York City Fire Department tweeted: “Do not tweet emergency calls. Please call 911.” Other agencies even go so far as to block two-way communication on social media. In practice, when people are desperate and faced with a busy signal on 9-1-1, they turn to social media for assistance. The question is whether agencies are prepared for handling emergencies reported by social media. Are agencies listening? Are they re-directing information, providing just-in-time safety information or even life-saving information, have a process to pass along messages to dispatch or re-evaluating their policies to better handle the issue of emergency information coming through social media? As we advance towards a text- and video-capable 9-1-1 system, these issues are likely to become even more important. Many agencies need to re-evaluate their policies for handling emergency or urgent messages and might consider establishing a plan to listen and route messages through their EOC or even dispatch systems. Agencies that were quick to react on social media were able to send out their most critical messages prior to major cell towers losing power (and thus failing). 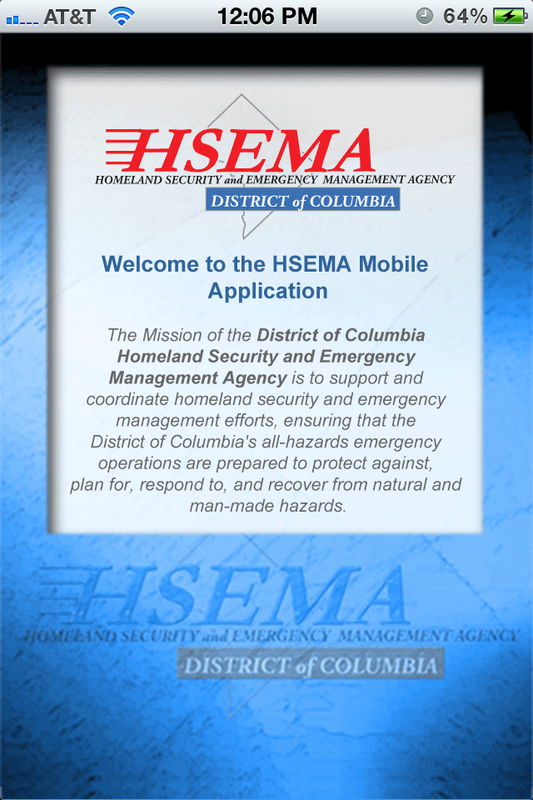 Agencies must be prepared to deliver messages quickly, which may mean re-evaluating an agency’s approval process or require pre-approved messages pre-scripted in advance of a disaster. Additionally, many agencies attached links to social media messages that directed readers to basic and not mobile-friendly web pages. Mobile device-friendly webpages optimize graphics to make information clearer and easier to read; these pages can be independent mobile websites or use responsive design so that webpages scale in proportion to a user’s screen size. When power and wireless internet resources are limited, the best solution to ensure speedy delivery of messages may mean sending several messages in a row that communicate the message rather than pointing the user to a website. Additionally, when planning recovery operations, ensure proper agreements are in place to quickly mobilize Cells On Wheels and Mobile Charging Stations. As citizen groups increase social capital through online networking, agencies must engage the community in a variety of social media platforms and respond to a need they see in the community because they are listening to social media. In order to do so as a field, we may need to be more aware of how to reach and communicate with these networked groups to help everyone achieve the same goal. Independent groups can do phenomenal things and, in a major disaster, coordinating with community stakeholders will always be challenging. 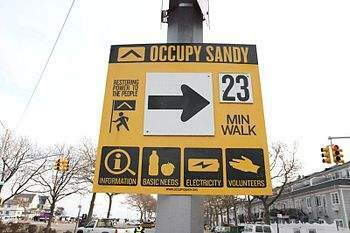 During Sandy, the “Occupy” movement re-branded itself as “Occupy Sandy” and put their social media muscle to work. It was through their knowledge of social media and listening to the needs of the community that they were able to coordinate their response. 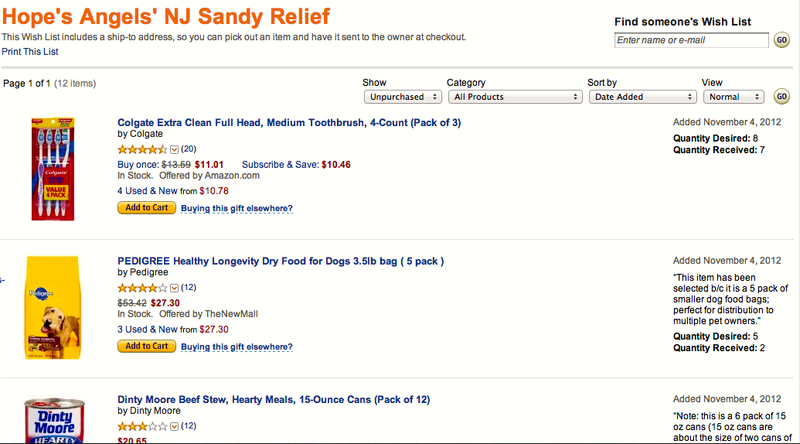 In fact, newspapers reported their novel use of an Amazon.com wish list to allow purchases for needed items to be shipped and distributed by volunteers. 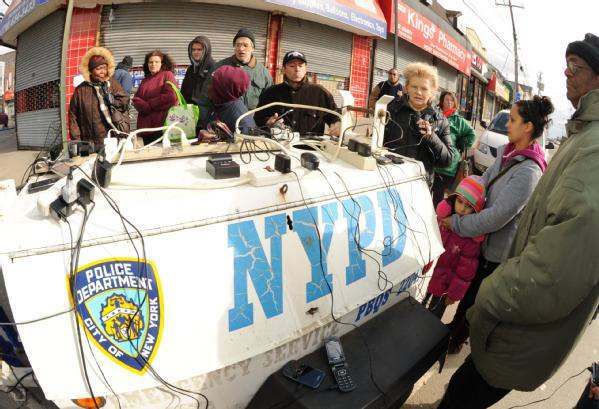 Agencies that listen intently to the community and engage them in dialogue can motivate volunteer actions. In this way, social media can serve as a force multiplier—not only as a communications tool, but as a response and recovery apparatus. 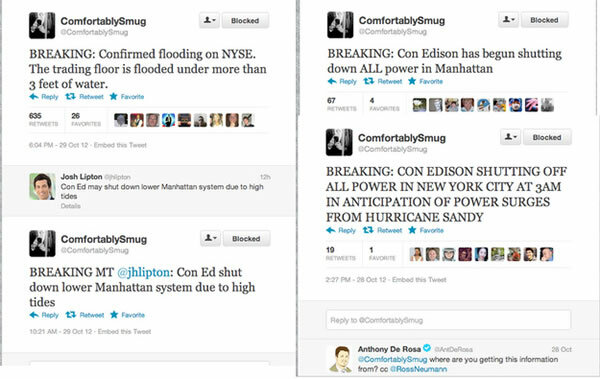 Communicating the severity of disasters using only words takes a talented wordsmith, but the old adage that “a picture is worth a thousand words” was quite literal during Sandy. As people sought to emotionally connect with their friends, neighbors and family members they sent photos via social media. Two social media platforms, Pinterest and Instagram, gained instant notoriety in sharing digital images. Both platforms have the ability to search for images tagged by a user, and Instagram uses the same hashtag system as Twitter, which makes images easier to find. Even if your agency is not using these tools to share images, training social media staff on how to conduct searches of images can be useful for situation status updates, common operating picture, and the general condition as reported by residents of a community and survivors of a disaster. While most people share photos to tell their story of the disaster, there were other nefarious individuals who used photos to create rumors. Use of photos and verification techniques was mentioned in last month’s IAEM article, however it is useful to note that reverse photo tools are available to identify misleading and patently false photos. Agencies should be prepared to verify photos and have a system in place to communicate the authenticity of a photo, or any rumor for that matter. Agencies should consider practicing the use of reverse look-up photo tools to identify the source of an image. Identify an agency policy or resource of where and how to communicate false pictures and how you may use authentic pictures as actionable intelligence. It is worth noting that social media is in fact social and the majority of users take great offense at intentional dishonesty. As such, they will often come to the aid of an agency calling out erroneous information. Do not fear incorrect information in social media, but do have a plan to report rumors and communicate accurate information quickly. 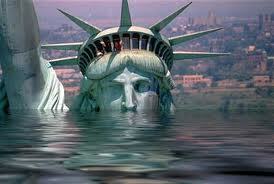 Every disaster includes limited resources and a need to effectively distribute the resources that are available. 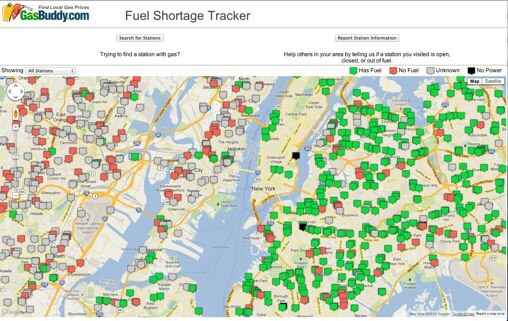 During Sandy, fuel supply was limited and it was difficult for survivors to identify gas stations with adequate supply . Utilizing a variety of crowd sourced methods, inducing data from apps, Google mapping, and others, workers and volunteers were able to map data of available resources and keep it updated with timely and relevant information. Agencies should consider working with information technology support and GIS partners to identify mapping solutions for the types of disaster scenarios in your agency’s plan. 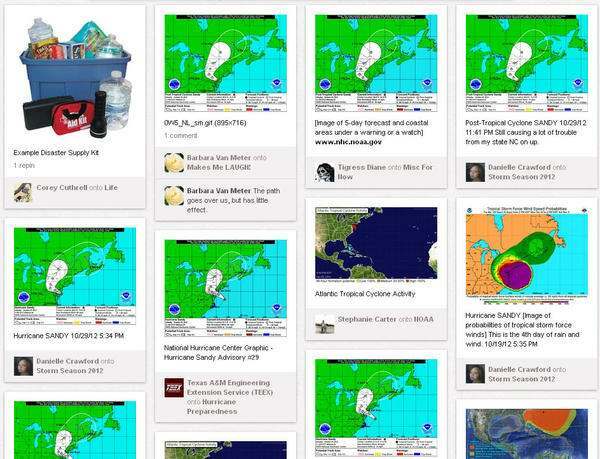 Free mapping tools and crowdsourcing programs, such as Google Crisis Response mapping, Ushahidi, and Creative Commons are the future of emergency management. Social media plans and policies should be reviewed frequently to ensure that your agency’s intentions for using social media during disasters matches the needs of the community. 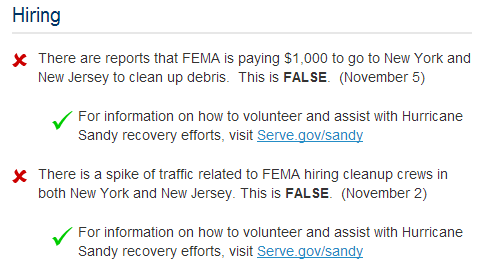 There is a great deal of information on Sandy available from Lessons Learned Information Sharing (www.llis.dhs.gov), where you will find additional reports on technology used during the storm.